Your 401(k) plan is a critical benefit for attracting and keeping employees in a competitive environment. But effective retirement plan management is a complex business, all the more so given the fiduciary responsibilities involved. It’s important to guard against exposures that could lead to big problems. Here are some to be aware of. Employee lawsuits against corporations and their investment and/or pension advisors are on the upswing. This trend that’s gaining momentum over 401(k) plans should give employers pause. Lowe’s and its advisor have been sued over numerous fiduciary breaches. General Electric was sued and charged with managing its 401(k) for its own benefit, not employees’. And, according to Bloomberg’s Bureau of National Affairs, over 100 new 401(k) legal complaints were filed in 2016-2017 – the highest two-year total since 2008-2009. Delayed or inconsistent timing of deposits of participants’ contributions to the plan. This is the No. 1 failing in the day-to-day administration of pension plans, often attributed to systems issues or, more commonly, a misread of the specified deadline rules. Rules differ slightly depending on the size of the group. Groups with fewer than 100 employees have seven business days to submit contributions. Large groups should make sure contributions are submitted as soon as administratively feasible. The DOL also looks for consistency. For example, if contributions are normally submitted five days following the payroll date but on one occasion, are submitted within two, that may become regulator’s expectation. Noncompliance with other plan rules. Other plan rules besides those on timing of contribution transfers may also trip up administrators. For example, if the rules state that newly eligible employees can join the plan on the first of the month after reaching eligibility, the employer should make sure that those employees have the opportunity to join then, as opposed to, say, letting them join at the end of the year. It’s important to follow the plan document, because, again, that’s what regulators will use when they review your plan. Definitions, and whether they’re applied. Plans should clearly define key terms like “eligibility” and “compensation,” and it’s critical to make sure those terms are actually being applied. If administrators don’t know the definitions, that’s a big red flag. Participant behavior issues. Participant behavior patterns can tell you a lot about the effectiveness of the plan design, retirement plan management, and how well the sponsor is doing in helping employees plan for retirement with confidence. For example, participation and deferral rates, ROTH utilization, and a pattern of people taking loans against their accounts can help measure employee engagement and also identify training needs. Plan investment options costs and other fees and expenses. Plan officials should review, at least annually, the plan’s investment options, share classes, and other fees charged to participant accounts. This type of review should compare current plan investment options to standard benchmarks and appropriate peer groups to determine whether the investment options are performing acceptably. Plan officials should ask their providers whether they can get a better “deal” in the form of better share classes on the investment expenses associated with the funds in the plan. They also should document that fees paid from the plan are reasonable given the services provided by the various service providers to the plan. 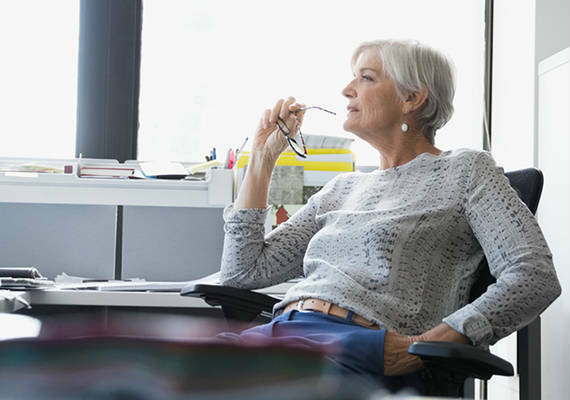 If you detect these or other exposures in your retirement plan, there are a variety of ways to fix them. In fact, in most cases, the IRS encourages sponsors to self-correct plan errors, and offers two programs for doing so – the Self-Correction Program and the Voluntary Correction Program. Both are preferable to its third correction program, the Audit Closing Agreement Program. This is the recourse only if there was a 401(k) audit over a significant issue, triggering a substantial penalty (up to 20 percent of the plan’s assets) plus fees for the correction.